On Thursday, July 25th, we’ll welcome a small group of guests at our vineyard for our second pre-IPNC dinner, again with Tournant preparing our meal. The founders of Tournant, Jaret and Mona, are known for their emphasis on live-fire cooking and hands-on communal feasts, and love to turn a meal into a memorable experience. Tournant’s food reflects a sense of place and ceremony, drawing inspiration from the seasons and local bounty from the land and sea. The evening will begin with a cocktail hour reception, starting at 6 pm, followed by a multi-course meal paired with our wines. This event will also mark the release our much anticipated 2018 carbonic Pinot Meunier! 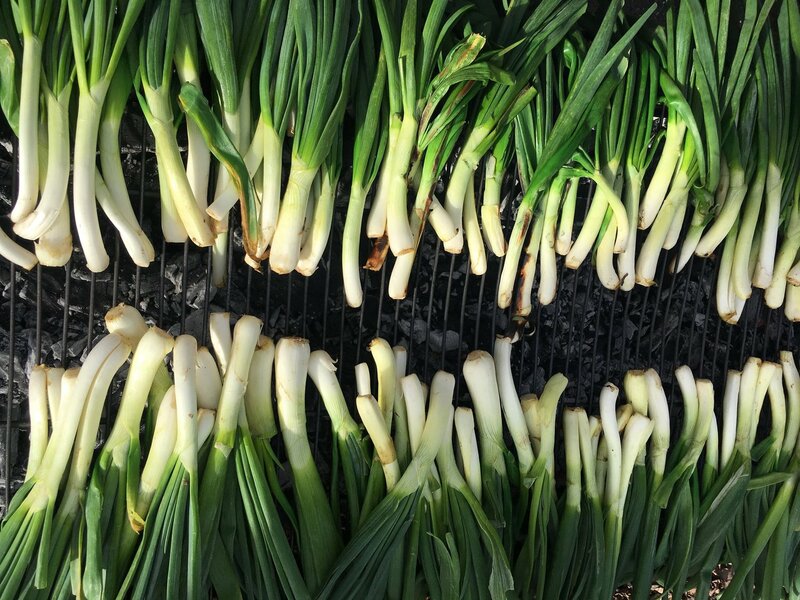 Featuring: Calçotada: a Catalan feast of spring onions grilled over the flames and eaten heartily and messily with your hands! Calçots are now coming into their short season, and we’re itching to light some on fire. 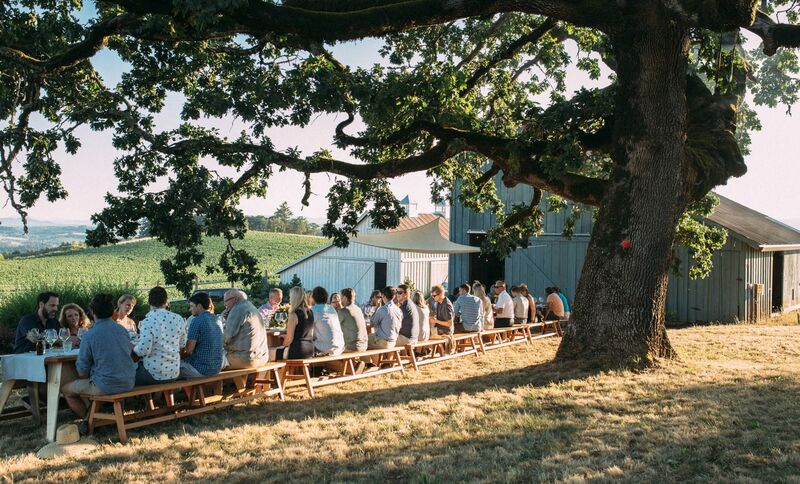 Join Flâneur Wines for an evening of Revelry as we team up with Tournant and MÅURICE at our La Belle Promenade Vineyard in the picturesque Chehalem Mountains on Saturday, April 27th to celebrate the start of Spring. The evening will be extremely festive as we indulge in this humble vegetable and associated feast! We will kick things off at 4pm sharp with a Chardonnay reception featuring fresh, local oysters (it’s Tournant, so you knew they would be on the menu) while we witness the traditional, open flame cooking process that has made the Springtime affair of Calçotada so legendary. From there, we will sit for a family style feast paired expertly with Flâneur Wines – including a couple of pre-release sneak-peeks that you won’t want to miss!